With every new advancement in HVAC technology, your home has the potential to become a better place to live or your business a better place to work. 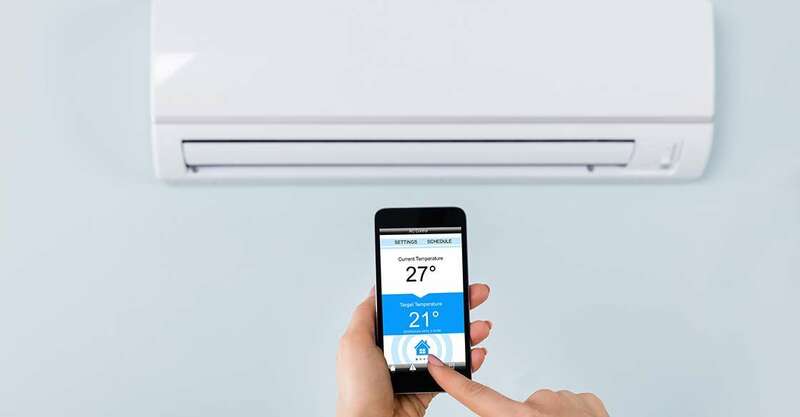 In recent history, we have seen several HVAC advances, but there are much more on the way, ranging from ideas to enhance comfort to technology to save energy. Perhaps the first important development in HVAC was variable refrigerant flow (VRF). This allows you to heat and cool different parts of your building to different extents. It has been particularly useful for large properties and for homes where one part is in the shade but another in direct sunlight. Many recent advances are thanks to smartphone technology. Smartphones allow users to monitor and control the HVAC of their homes and businesses no matter where they are. A prime example of this from just a few years ago is NEST, which released its Learning Thermostat in 2011. This combines the older technology of a programmable and teachable thermostat with additional features. For instance, NEST turns off when you leave a room, but you can turn it on remotely to return to the right temperature before you reenter. NEST can also turn off your HVAC system during peak energy demand times. This helps users save money on energy bills and ensures that there is enough energy to go around, such as on especially hot summer days. There is no need for users to figure out when they are at a peak demand time — NEST does it automatically. Thermally-driven air conditioning is currently only available in Australia, but it is likely to hit markets in the U.S. in a few years. By using a combination of solar energy and natural gas, thermally-driven AC requires no electricity. Better still, it cools air better than any system invented yet. Ice-powered air conditioning works by freezing a tank of water overnight and using the ice to cool the building the next day. Still, in its early stages, it is currently sufficient to cool commercial buildings for up to six hours, after which users need to switch to their regular AC system. When your HVAC system cuts out, you need to call a professional to find out what’s wrong and to fix it. This means you may have to wait in uncomfortable conditions. To speed up the process, future HVAC systems will be able to self-diagnose and sometimes even self-repair, when problems are minor. This is good news even for us — pre-diagnosis means we can come prepared to fix the issue immediately and we will only need to come out to solve serious issues. This means less downtime for you. Another advance you may see soon is an air conditioner that turns on when it senses people moving. All it requires is sensors on the ceiling. This could be a simple way to reduce energy use. Stay up to date with HVAC advances to find out what AC heating and air conditioning services you can include in your home or business.